I’ve been obsessed with Boden Clothing for quite awhile now, ever since I spotted this gingham dress on a fellow blogger and immediately knew it was a complete must have. Boden is a British clothing line, but their pieces always seem to perfectlu fit my preppy and feminine style. I tend to get particularly obsessed with their fall/winter lines. The British know a thing or two about staying stylish when the weather gets chilly. I’ve already placed an order with a few must haves for fall including this super cute plaid skirt! I mean, come on, how could I not? I also love how fun some of their accessories are, like this adorable taxi purse (um, it also comes in london bus red)! I’ve formulated a very long wish list so I can pick up a whole new slew of pieces during their next sale. 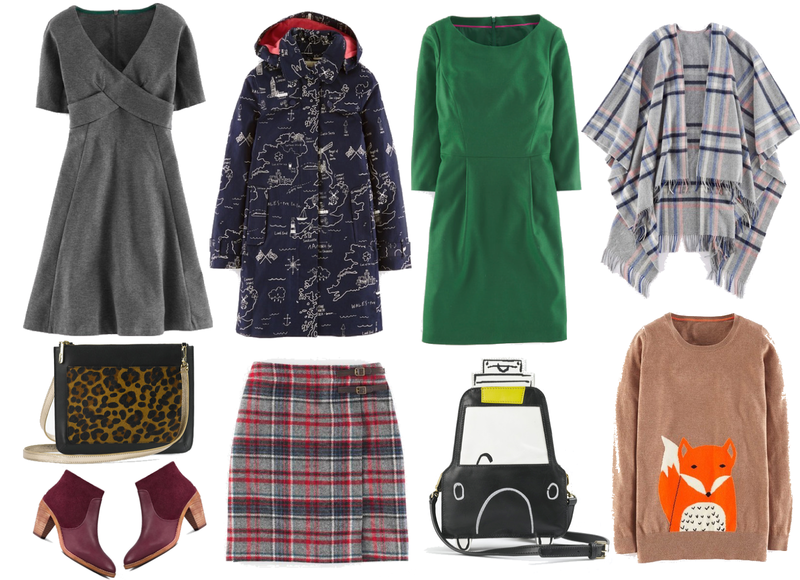 If you’re looking for some closet inspiration of your own, check out my Boden Clothing fall wish list below. I love that duffle coat! What a fun print!